B/W albumen print, 4" x 6", mounted on cardboard, of Dr. Erasmus Darwin Hamilton. Handwritten on the reverse in pencil is his name as well as "property of Mrs. Cook" (Mary or 'Mame' Cook, of Baptist Hill Road). Gift of Mary ('Mame') Truesdell Cook (1875-1974) to the Field Memorial Library. 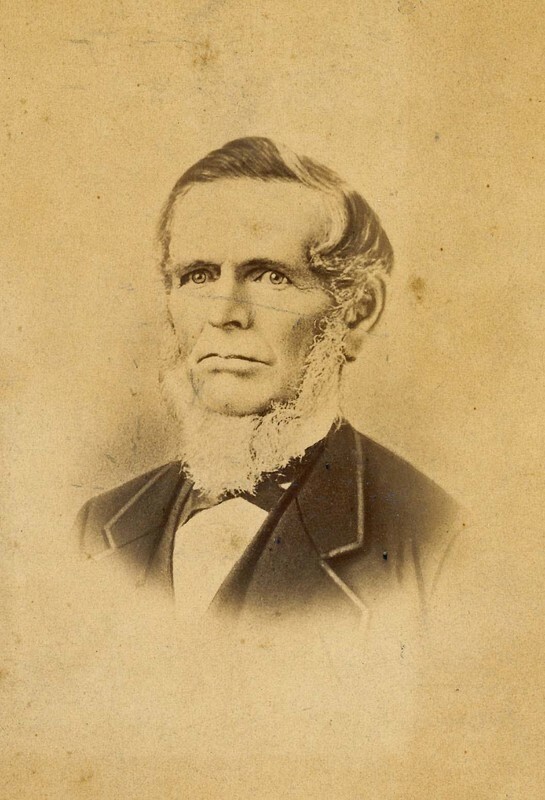 Unknown, “Photograph of Dr. Erasmus Darwin Hamilton,” Conway Historical Society, accessed April 21, 2019, http://conwaymasshistory.org/items/show/932.